These two small and simply furnished holiday apartments with terrace are ideal for couples. They can also be booked together to spend a holiday with friends. Here is also a holiday possible with pets. 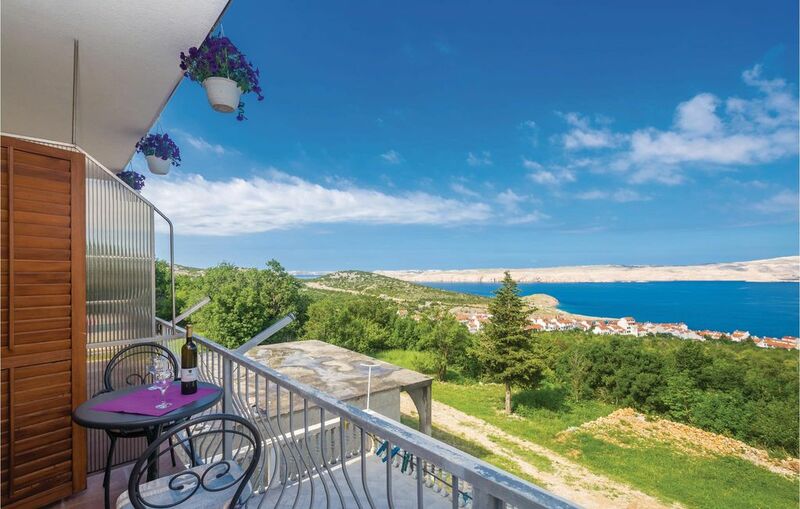 Located above the village of Stinica on a hill, from the first floor, you have a beautiful view of the sea and the island of Rab, and you should not miss a trip to the islands of Rab and Pag, as the ferry landing in approx km away. The Velebit mountain offer hiking trails with beautiful views and sunsets.